In 2007 Feis Ceoil was facing possible closure after 111 years in existence as it found itself bereft of funding. By miraculous coincidence, ESB had an opportunity at the time to extend its arts sponsorship portfolio and got in touch with Feis Ceoil. So began a very interesting journey for their collaboration, which is the winner of the Best Long Term Partnership Award at the Allianz Business to Arts Awards. From the outset it was clear that the ‘fit’ was right as both organisations have similar heritage, nationwide scope and commitment to promoting excellence. From there the relationship between ESB and Feis Ceoil has blossomed over the years to the point where ESB Feis Ceoil has been transformed into a progressive, outwardly-focused, media-friendly festival which has increased in size and scope. From CEO of Feis Ceoil Laura Gilsenan’s point of view, the reason the partnership has endured has a lot to do with both parties respecting what the other is good at and making the most of that synergy. “ESB coming on board as title sponsor made us look at ourselves in a completely different way. It has made us realise we have been doing something quite incredible for 120 years,” she says. In practical terms, ESB has allowed Feis Ceoil to take on professional PR expertise and become more involved in the relationships it already had with RTE and the Irish Times as well as improving its event management capability. “One of the things we want to do with any sponsorship is to make something better because we are involved. It goes much deeper than swapping a logo for the title rights. From the beginning we wanted to help with marketing and event management. In recent years we have used our own digital marketing team to bring appreciation of classical music to a new audience through developing videos and Facebook promotions,” says Edel McCarthy, group sponsorship and activation manager at ESB. From a branding perspective, it was agreed the Feis Ceoil logo was outdated and cumbersome to reproduce in different media. ESB facilitated Feis Ceoil’s work with The Brand Union to design a new logo and overhaul the look and feel of its printed material. Over the years, Feis Ceoil and ESB have continuously thought about innovative ways of keeping the partnership alive. 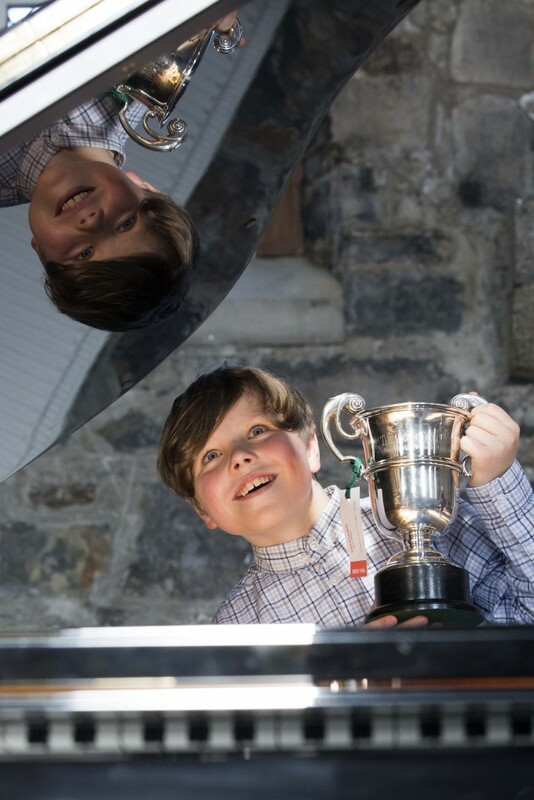 For example, Feis Ceoil started some new competitions such as the ESB Choir of the Year and a competition for amateur conductors in partnership with RTE Concert Orchestra – the first of its kind in Ireland – which has proved to be huge success, according to Gilsenan. To mark the 120th anniversary of the festival this year, ESB Feis Ceoil mounted an exhibition on the history of the organisation in collaboration with the Little Museum of Dublin. It told the story of the feis in an engaging way, using visual and audiovisual media in addition to interesting artefacts such as the bronze medal won by James Joyce in the Solo Tenor competition in 1904. “The confidence to bring the history of the feis to a public audience is to a large extent thanks to the confidence ESB has shown us over the course of our partnership,” notes Gilsenan. Together the partners decided to establish an annual gala concert as a showcase event, which has been important for both sides. For Feis Ceoil, it provides a performance platform for the best of the winners each year while ESB has access to a special event for hospitality and stakeholder engagement. “It is important for ESB that our key business stakeholders realise that we support institutions like Feis Ceoil. Last year we hosted 100 stakeholders at the gala concert. We also use it for staff engagement so that our people can feel the benefit of ESB being involved. For example, last year we gave away 100 tickets to staff to attend the event in the National Concert Hall,” says McCarthy. “I am strong believer that partnerships do get better over time. In the first couple of years you are learning about each other; what works and what doesn’t. In years three and four you find your stride.